As one of the most successful composers of the modern era, Andrew Lloyd Webber’s repertoire includes some of the world’s most celebrated musicals; Sunset Boulevard, Cats, Aspects of Love, Joseph and the Amazing Technicolor Dreamcoat, Jesus Christ Superstar, Evita, Starlight Express, School of Rock, The Phantom of The Opera and Love Never Dies – to name but a few. 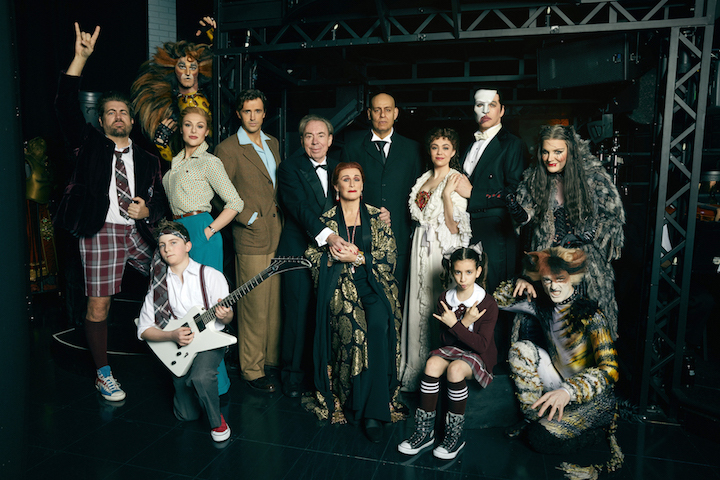 Last year, Lloyd Webber became the only person to equal the record set in 1953 by Rodgers & Hammerstein with four shows running concurrently on Broadway (Sunset Boulevard, Cats, The Phantom of the Opera and School of Rock). Two of his shows are currently running in both Broadway and the West End: School of Rock and The Phantom of the Opera, and his musicals have grossed more than $13.6 billion and have been watched by 302 million people across 44 countries. He has sold more than 40 million albums worldwide. 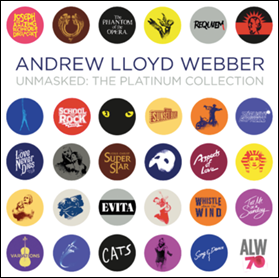 In celebration of his 70th birthday this March, ANDREW LLOYD WEBBER UNMASKED: THE PLATINUM COLLECTION will be available March 16 through UMe/ Polydor. The collection is personally curated and overseen by Lloyd Webber to include classics from his earliest work, starting with Joseph and the Amazing Technicolor Dreamcoat , through his most recent, School of Rock. Newly recorded songs from superstar artists Lana Del Rey (“You Must Love Me”, Evita), Nicole Scherzinger (“Memory”, Cats) and Gregory Porter (“Light at the End of the Tunnel”, Starlight Express) and add to the collection of his cherished works from the past five decades. The set also contains recordings by world-class performers such as Barbra Streisand, Madonna, Michael Crawford, Sarah Brightman, Michael Ball, and released for the first time, Beyoncé singing “Learn To Be Lonely” from the 2005 Academy Awards with Lloyd Webber accompanying on piano. UNMASKED: THE PLATINUM COLLECTION is available as 2 CD and 4 CD editions. The 4-disc version contains an exclusive 40-page book with a personally penned introduction from Lloyd Webber and in-depth notes on each track, written by respected theatre critic and Lloyd Webber biographer Michael Coveney, together with tributes from Barbra Streisand and Glenn Close among others. The fourth disc encompasses a mix of overtures and showstoppers from Lloyd Webber’s key works, as well as newly created orchestral suites. The five new orchestral suites have been specially prepared from existing recordings, emphasizing the grand orchestral aspects of his work. All CDs were mastered at Abbey Road Studios. Lloyd Webber’s productions have sold more than 330 million tickets worldwide. 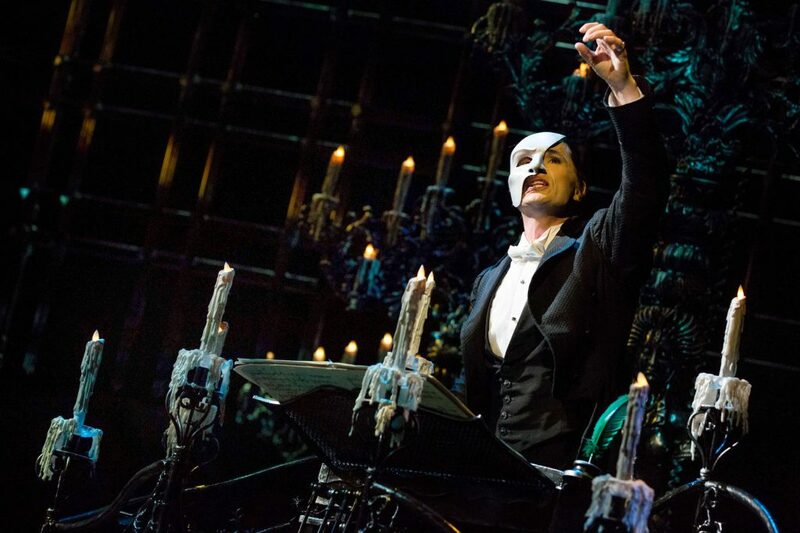 The Phantom of the Opera is the longest-running show on Broadway and second longest-running show in West End history. Cats and The Phantom of the Opera are two of Broadway’s four highest-grossing shows. The Phantom of the Opera original cast album is the No. 1 Broadway album of all time in the U.S. and the #175 biggest seller among ALL albums of the SoundScan era in the U.S. In addition to his worldwide sales and audiences, Lloyd Webber has been recognized by critics and peers with numerous accolades and awards including seven Oliviers, seven Tonys, three Grammys, one Golden Globe and an Oscar. Also in celebration of his 70th birthday, Lloyd Webber’s new autobiography, UNMASKED, will be released by HarperCollins on March 6 in the U.S. and on March 8 in the U.K. Written entirely in his own words, Lloyd Webber recounts his fascinating life and remarkable career. A natural storyteller, with his signature humor and self-deprecating tone, Lloyd Webber shares the details of his early personal and professional years, including his early artistic influences. He takes stock of his achievements, the twists of fate and circumstance, which brought him both success and disappointment, and the passions that inspire and sustain him.